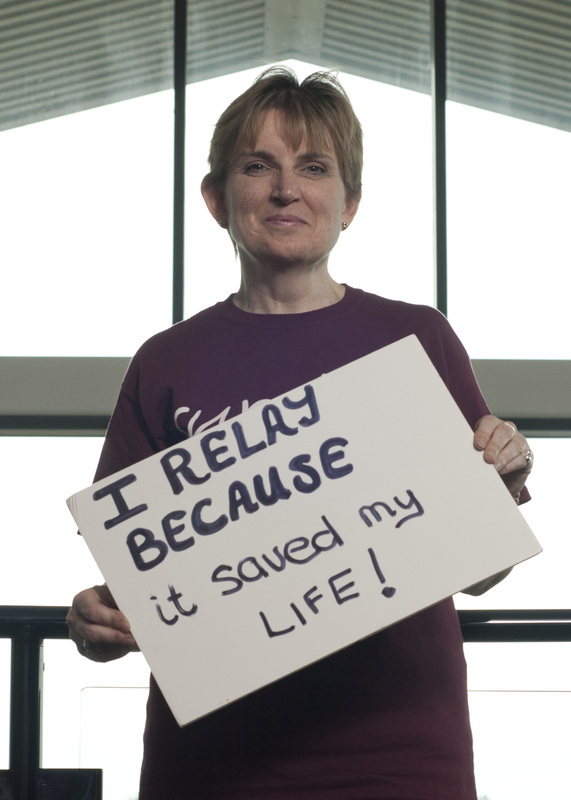 Our Survivors are the most important members of Relay for Life, our special guests of honour and the reason why we Relay. 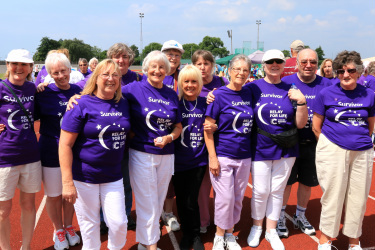 Survivors are asked to take the first "lap of honour" of Relay (come rain or shine) and are then invited to attend the Survivors Buffet Reception. At Portsmouth Relay for Life in 2005, I took part as a team member and tried to forget the strange mole that had formed on the bottom of my foot. I had been told it was nothing to worry about and Relay for Life is a good place to take your mind off things. As seems to be the norm in Portsmouth for Relay for Life, it rained torrentially over the weekend and my feet (and the rest of me!) got exceedingly wet. When the mole felt different in the next few days I went back to the doctor and insisted they have another look. Thankfully they did and I was later diagnosed with a malignant melanoma on my foot. 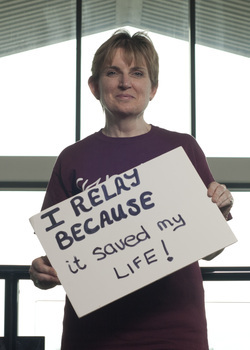 I was not going to let this change my life and, in particular my love of Relay for Life, so by 2007 I had signed up to join the Committee and have been there ever since. I am getting on with my life and making the most of every moment. 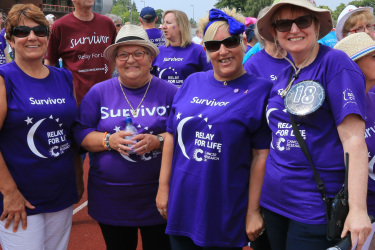 I continue to promote Relay for Life at local events, through work and by encouraging my friends and family to join in or help on the Committee. In 2012, I was awarded the prestigious "International Hero of Hope" which recognises those cancer survivors who have had an impact in their community. My son Matthew was diagnosed with cancer at the tender age of 3 years. When I was told by the doctors at Southampton Hospital, I was completely devastated. In my mind, cancer was something that happened to other people, not my 3 year old son. The diagnosis and treatment he received was first class and he is now in remission 3 years on. Being on the receiving end of this treatment and seeing first hand the fantastic work that the doctors, nurses and researchers do on a daily basis, we decided to give something back. We found out that Cancer Research UK is the largest independent Cancer Research organisation in the world and it relies on fundraisers, donations and legacies to fund the majority of its work. We found out about an event called ‘Relay for Life’ and decided that we would use this as a focus for fundraising. 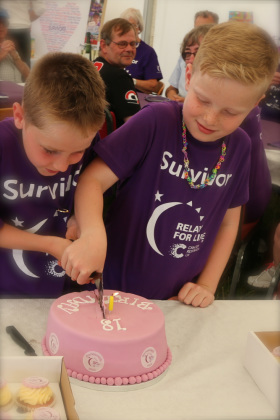 Throughout the year we raise money and then celebrate our efforts at the Relay. The event is quite emotional for some of us, as its a time to remember those who have not survived their fight with cancer, but also a time to celebrate with those who have won their fight with cancer. We have 4 survivors linked to our team who have fought cancer in the last few years, and we are thankful for the fantastic work that Cancer Research UK has done for us. Matthew is our inspiration for fundraising, he has been so strong throughout his ordeal, the weekend of the Relay for Life is all about him. Matthew believes the whole weekend is all about him. He thinks that over 300 people have joined together for the weekend because ‘its all about him’. He loves that fact he is chosen to cut the survivors cake during the survivors buffet and that everyone knows him and wants to chat with him. He feels like a superstar, just for the weekend. He takes pride in completing the survivors lap at the start of the weekend and collecting the medals at the end of the weekend. As he grows older, he will realise its all about him as well as other people affected by cancer. The reason we walk for 24 hours is to demonstrate the fact that cancer never sleeps, this is true in Matthew's life as his Mother and Grandmother have both had cancer in the last year. We keep on fundraising so we can keep on fighting Cancer.